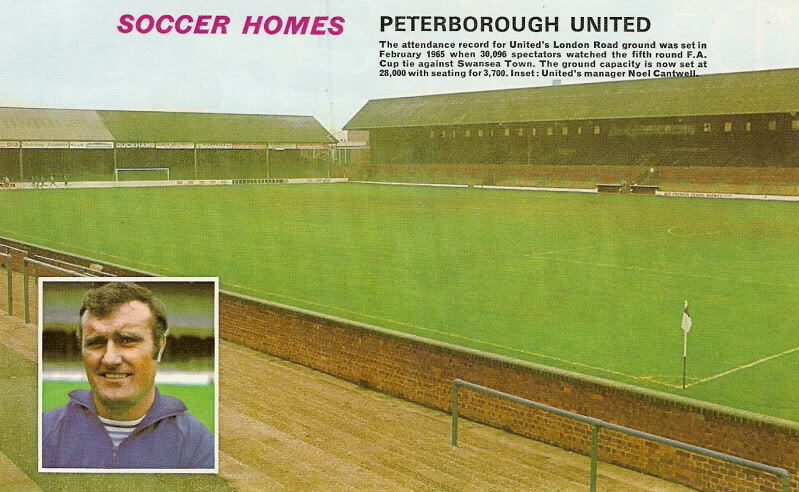 Peterborough United have played their football at London Road since they were formed in 1934, there was however a football team using the ground since 1923 called Peterborough and Fletton who were disbanded. The stadium is named after London Road which runs in front of the stadium and seems to have had a fairly uneventful history, it did become a bit of a fortress for Peterborough though between 1955 – 1960 when they only lost one game out of 103. "The attendance record for Uniteds London Road ground was set in February 1965 when 30,096 spectators watched the fifth round FA Cup tie against Swansea Town. The ground capacity is now set at 28,000 with seating for 3,700. Inset: Uniteds manager Noel Cantwell."